A lot has been going on in my life lately.. if you've been reading my blog you'll know that I've been through a lot of things these past months, starting from those days at the hospital due to my aunt who got sick, and then she passed away and I have to help her funerals and all, and then I got my brother in law's wedding and cousin's wedding preparation where I help organized it. And then just this weekend, my hubby got hospitalized because of the Dengue fever, poor hubby.. And I've been spending most of my time at the hospital since then, that explains my lack of posts and a big apology to that. Now I only got a few little hours to update my 2 blogs and catching up on emails so here's a quick post for you. 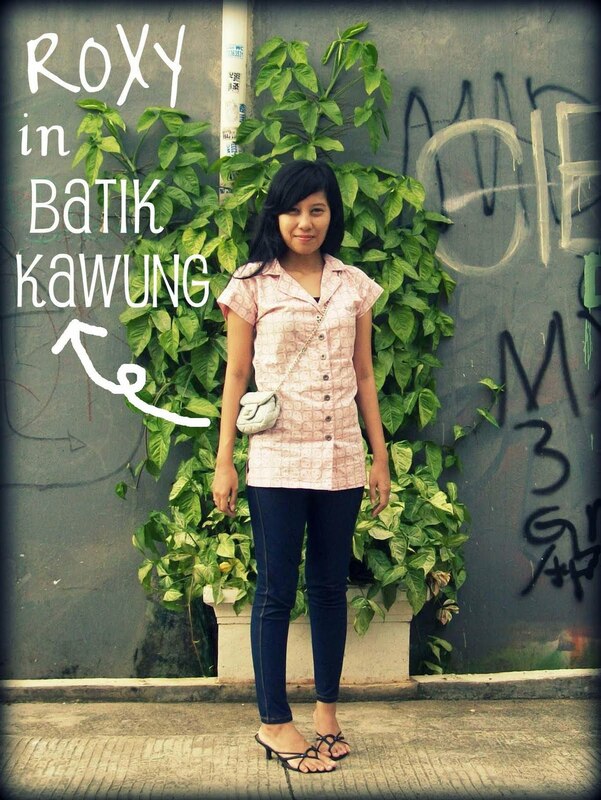 I already wore the left "Mega Mendung" one last Saturday which is our National Batik day. And then I wore the pink one on Sunday as a part of "Blogging for Breast Cancer A-wear-ness" challenge hosted by Melissa from A Working Mom's Closet. "Kawung is a kind of palm tree having eclipse-shaped fruit named "kolang-kalilng". 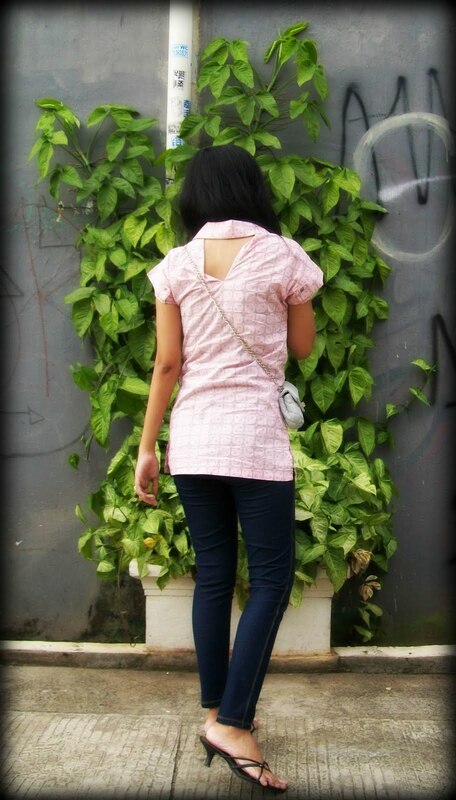 It is believed that it's motif was created by Sultan Agung of Mataram. The ornament consist of four circle in the middle, that symbolizes four sources of energy that surrounds the centre of power, God that rules every direction. Like a palm tree that can be used from root to leaf, the motif brings hope that the user will be given strength to rule well and have a meaningful life." I love the pink Kawung pattern, it's a modernized kawung pattern so it looks hip and chic and trendy. Remember how I just said in a post several days back that it's been a troublesome journey for me in trying to find a fitted buttoned-down top, because it's always either too big or a tad to loose. 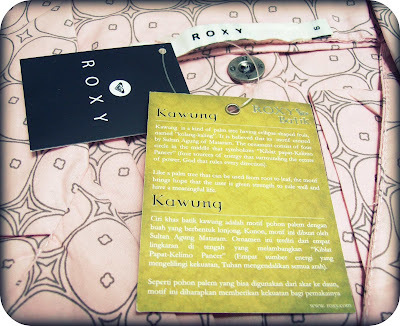 And just a few days after publishing the post, I received my ROXY package and there it is, my pink batik buttoned down tunic that fit perfectly to my body!! Oh my, it was like an answered prayer!! 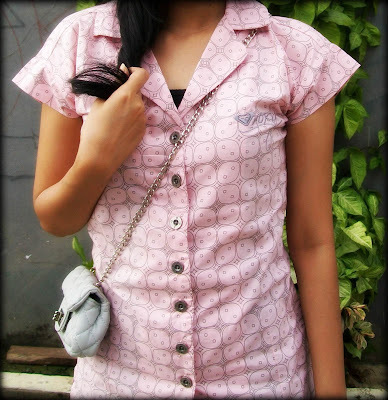 :D This buttoned-down tunic has a perfect length, perfect fit (no loose fitting here! ), got a cute wide cut at the back (i love a surprising detail in the back of a top), and it's pink! It also has a cute little button detail in the sleeves. Me likey a lot! ;D This is a size 4 (it's the smallest size they have which is for size Small). 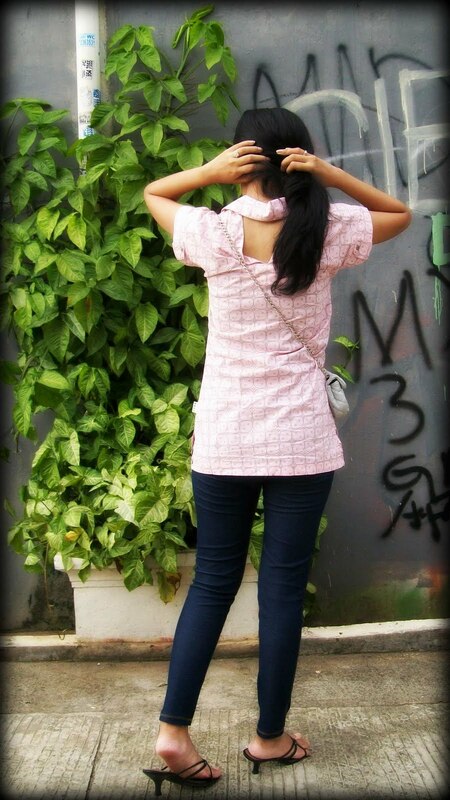 The price tag for this one is IDR 295.000. This special Batik collection is also available in various countries in Southeast Asia such as Thailand, Singapore and Malaysia. For more info and promo news, check out ROXY INDONESIA Fan Page on facebook! Thanks ROXY Indonesia for endorsing me with the fab clothes! 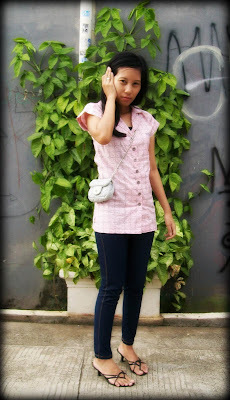 To see how I styled my other Roxy top, click here to read my previous post or just scroll down below..